Oral steroids like prednisolone come with a vast array of side effects. Some of these side effects can be very visible such as weight gain, or thinning skin but these are not the side effects to be worried about. It is the silent side effects that we don’t see that need to most attention and care. As well as steroid induced diabetes and high blood sugar levels one of the other potentially catastrophic side effects from prednisolone and other oral steroids is bone thinning and osteoporosis. Over the many years of taking oral prednisolone I have gone from someone who really did not think about the side effects to being hit full force in the face. I have been prescribed bone protection for years. Calci-chew D3 Forte twice a day and then alendrotnic acid once a week. I have to be honest and until maybe 5 years ago I was not the most compliant at taking my bone protection. The calci-chew never bothered me and it was easy to take but it was the alendronate I used to always forget. I think it is because you only take it once a week and when you take it you must take it with a full glass of water, be sitting up and not take any other medication with it. Part of my morning routine I do on auto pilot which included taking my medication. I would just take it, and do my teeth etc without thinking. Often by the time I realised I was meant to take my alendronate I would be half way through my breakfast. I was not missing it on purpose but after several experiences of taking it after eating I was not going to do it again in a hurry. A good consultant will make sure you get a DEXA scan regularly especially if you are on long term oral steroids. I had not had one at all until maybe 5 years ago when I was sent for one to check my bone health. The results were shocking. I had early stage osteoporosis with significant bone density loss. I was at this point not even 30 and had the bones of an old lady. I also knew at this point that my asthma was not likely to get much better and I would be on oral steroids for a good portion of my life so I needed to wake up and make an extra effort to take my alendronate. Which I did. The one slightly daunting part of the whole thing was filling in the pre DEXA scan questionnaire particularly the bit about you diet where it asks how much milk you drink and how much daily you have. I had to count up the average amount of milk over a week and I was pretty shocked!!! But I guess when it comes to bone health the more calcium the better!! Now it is the anxious wait for the results to be processed and sent back to my consultant. No matter what the result is there is not much more I could have done. Since finding out I had the early stages of osteoporosis I have been religious in taking my bone protection medication which is all I can ask for. I do wonder that is the reason I have osteoporosis now because I was started on bone protection late but also because once started I never really took it as thought I didnt need it as I was young and my bones would be ok. I can’t dwell on it now because it has happened and I cant change things. I can only now stop things from getting worse rather than hoping to cure my bones. If anyone reading this is on oral steroids and not taking calcium supplements from your GP, Asthma Nurse or Asthma consultant then please ask for them. Steroids can have an awful effect on your bones. One friend is now wheelchair bound due to the adverse effects of steroids on her bones. Never underestimate the power of the humble oral steroid. They do some wonderful things and as a result mean many are alive but they do have some side effects which can be equally as devastating as not taking the drug themselves in the first place. This past week has been really tough. Asthma is one of those conditions that is on a spectrum. Going from those with the mildest of asthma to those with the most severe and life threatening asthma you get everyone across the board and you can not pick out the one person with mild and the one person with severe asthma. You can’t see asthma, sometimes you can hear it depending on how wheezy you are!!! Recovery from this last hiccup has taken a lot longer than I ever anticipated. It was not the worst of attacks but equally was not the mildest either. I was only in hospital for a week yet it has taken me a good 3 weeks to get back on my feet and still Im not there yet. I have been so fortunate this time to have the support of my consultant. When I say support I mean that should I have issues he has said so many times that I just need to call his secretary and she will get him to call me back or the resp reg on call to give me a call. Having that support is so reassuring to me it makes life that little bit easier. Also being seen in clinic every month (which is a faff but won’t be forever) and then on top of that I am at the ward once a month too for my mepolizumab injection with the asthma nurse specialists so if I have any issues I can ask them too. As much support as there is they cannot speed up the recovery process and help with the everyday symptoms that just take time. The never ending fatigue that no matter how much you rest it just doesn’t go away (Thanks to prednisolone contributing to that), and no it doesn’t help by getting a good night sleep. It is a fatigue that is unlike no other- a fatigue that having a nap won’t fix, it is a feeling where your whole body feels double its weight, you are not tired and sleeping doesn’t help, but you just cant do anything. Until you have experienced it (which I hope you won’t) you have no idea what it is like. This is the really hard bit. Fatigue you cant see, and asthma you cant see. Keeping your mind motivated is really hard when your body is preventing you from doing what you love. This is the challenge I keep facing. This time of year its all about Christmas, Christmas Parties, going out with friends, shopping and enjoying the festive period, but I feel like I am sitting watching the world go by and seeing photos of people enjoying themselves but I haven’t been able to join them. Just going to the shops to get the messages is hard enough leaving me exhausted. One big thing that I am really finding hard and one friend who is also on biologic therapy said this can be a side effect is speed of recovery as well as joint and muscle weakness. Speed of recovery has been slow but as I keep trying to tell myself slow and steady wins the race- but truthfully its getting really wearing now. The other thing is the joint and muscles weakness. I always have some weakness after being in hospital as for most of it I am bed bound and not able to get up due to the inability to breath and also the number of IV lines I have which are often in my feet making walking a challenge. Building up slowly isn’t helping. The only way I can describe it is having DOMS (delayed onset muscle soreness) but having DOMS that won’t go away. Normally lasting 48 hours this has been 2 weeks now and my quads feel like they are ripping in half every time I go to sit down or stand up, occasionally jerking as I walk too, stairs are an interesting experience- thankfully I have a lift in my building so can avoid the stairs!!! I am desperate to get back to work and my consultant knows this. I see him tomorrow to hopefully get the ok. I know it will be tough going back to work but I need something to mentally challenge me. I having been doing bits and pieces of research and evaluation of research conferences too. Evaluation forms I find are so hit or miss especially when there has been positive or negative things that you want to acknowledge etc- there is never the room and I end up putting a covering letter along with the form. This whole recovery process and hospital admission this time has taught me a lot. The main thing I guess I have finally accepted is that it is ok to not be ok. 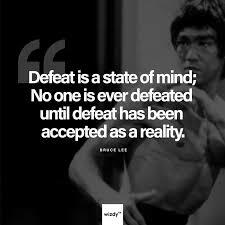 It is ok to ask for help and admit when you are defeated. Over the years I have been made to see a psychologist to help me deal with life with severe asthma. You could say I was a bit resistant to it initially. I think it was the stigma I associated with it. I felt that if I was seeing a psychologist then something was wrong with me mentally and actually my problems were psychological rather than physical. I think I made this assumption because I was young (this was over 12 years ago) and at the time there was really not much openness about mental health and it really was stigmatised. In more recent years as my asthma has impacted my life in ways I never thought it would and prevented me doing more than I ever thought I have been so thankfully to have access to a psychologist who I can see regularly and help deal with the restrictive aspects of living with such severe asthma. What I have found though is that I have focused so much on adapting life to cope with my asthma and the majority has been on pacing. I didn’t realise that a major area which we never worked on or spoke about was the severe life threatening attack that comes out the blue much like this last one was, and also the trauma after it. It has almost felt like a mild version of post traumatic stress because even at clinic last week I got this huge sense of fear when I saw those windows of the ICU again. So tomorrow I have a variety of different appointments all at different hospitals. The morning I have the asthma nurse specialists for my mepolizumab injection and review with my consultant, then the eye pavilion to have tests done on my eye that has lost its peripheral vision and then over to the royal infirmary to see the psychologist and will go up to see work and discuss coming back. I hope that getting back to work and routine will maybe improve the fatigue I have and give me a purpose to my day again. Thats the second dose of mepolizumab done and dusted. Now to wait till next month for my next injection next month. So many people have been asking me how I feel and if the new drug is helping or making a difference, or ask me when I will start noticing the benefits. Its really hard to tell. I am feeling some positive effects from it I think and there have been a few side effects but nothing major. The most telling sign is that I have noticed my peak flow has been increasing and I have not been in my red zone since the 19th September. That is a full 10 days. It may not seem like a great achievement and many will not agree with me for being excited that I have gone ten days and not dropped my peak flow but the nature of my asthma has meant that my peak flow is all over the place and so has my control been. I must say my asthma control has not been poor through my own choice and I have tried desperately hard to keep it n control. I have not managed to get into my green zone since June but I am happy with that. Better to be stable and sitting in my amber zone stable than jumping up and down with readings all over the place. I think slow and steady is the way to improve….it has after all only taken 14 plus years to get to this point. Other than looking at peak flow results and keeping track of how much salbutamol (both nebuliser and inhaler) I am using how do I actually feel? DoI feel different?? It is hard to say. My prednisolone dose has not been reduced and has been kept at the same dose since I was discharged from hospital in April. I am finding it hard to identify if feeling well and pretty stable is because of the steroids or due to the introduction of the mepolizumab. Once I have my 3rd injection I am hoping my consultant sticks with his plan and we can start the slow process of reducing the prednisolone. I am aware I won’t get off it (or may get off it and converted to hydrocortisone due to adrenal failure) but lower will suit me just fine. Since starting the mepo I have not been to bad with side effects. After the first I had a bad headache the first time but the second dose was not as bad. A bit of a sore head but nothing to major. The one thing I have noticed and I am not sure if it is coincidence or what but I have been waking up in the morning feeling like I am drowning or choking on the amount of phlegm I have on my chest. I have always had a bit of a productive chest- it goes with the territory of having lung disease but this is different. I am still not sleeping super well but I am wondering if that because I am sleeping slightly better and not waking up so much the phlegm is building up rather than me waking having a cough moving all the stuff and then settling back down. I guess the good thing is that all the movement of phlegm means I (fingers crossed) won’t be as susceptible to a chest infection and may notice them quicker as everything is moving so will see the colour changes. Although this is good that I am moving stuff in my chest I find in the morning I am having to do more saline nebulisers and a lot of physio to move it and it has often made me sick because of it. This is a minor price to pay though in terms of side effects. With this medication as I have said before I won’t see improvements over night but will over time and I think I am starting to see them. The other thing I have noticed and finding it more and more is that people are telling me how well I look and don’t sound as bad which is probably the best part. The past 3 weekends have been jam packed full of different things- mainly lacrosse and by the end of each weekend I have been on my knees longing for my bed but I have managed them. I have managed to spend these weekends on the side lines of a lacrosse field, or in the middle of a lacrosse field coaching with either Edinburgh Uni or Scotland (Scotland is just goalkeepers and assistant manager). A lie in over a weekend would be lovely and in the past weekends have been all about recovering and getting myself prepared for the next week of work but I have been able to use these weekends to do what I love and not suffer at work. Don’t get me wrong it was so hard to get up on Monday but I think most people find it hard to get up on a Monday morning for work so being what I called “normal” person tired is awesome. One thing I am very thankful for is having people around me who can keep me grounded and don’t let me get ahead of myself. I have always been someone who will try and do the long distance run before I can jog let alone walk so even though I may get grumpy at people holding me back I do appreciate it. Coach Dave at Scotland Lacrosse knows when to reign me in and make sure I just take it easy and ensures I just walk or rest when I perhaps am going full steam. I have an excitement in my life just now something that I have not had in a long time. I look forward to being able to plan things in advance and not worry that I may need to cancel or not be well enough to attend. I am aware that there will still be times when my lungs just stop me from doing what I want but through this I have also learnt to appreciate life, not take it for granted and just live for the moment. I get my medication each week in a dosette box made up by my local pharmacist. I take so many medications that when I am not well I find it hard to work out what I have taken and what I still need to take. I now don’t need to think about what I take, I just pop them out the relevant space and swallow them down in one. Today I noticed something though. There were 5 unopened pods from this last week. The 5 unopened pods were all my lunchtime doses of pain killers. I had not been aware of deliberately not taking them but because I was not aware of not taking them then that means I was not in pain and needing them. Chronic pain is one part of my health that I shunned for so long. I had always had this perception that I was weak because I was in pain and also was very aware that the Dr’s may think I was just attention seeking or drug seeking. I think I thought this because of the number of times I have seen and heard the conversations had when people come in to hospital with abdominal pain with no real cause and the suggestion of it being psychological or drug seeking. For many years I lived with pain in my chest specifically the left side of my chest/lung. Part of me didnt want to acknowledge it and if I didnt then I would be ok but then it was harder and harder to function due to the pain I was experiencing. It was one hospital admission when I was in ICU and due to staffing I was being looked after by an ICU advanced nurse practitioner. I think her experience of being a nurse and seeing patients in pain she could tell what was real pain. I had not been asking for pain killers but she could see me wincing and struggling. It was only after she spoke to me about it that I finally admitted to the pain and feeling I had when I took a breath in, the pain was not nearly as bad when exhaling but felt like something rubbing and stabbing when I inhaled. It was from then I spoke up about it and we looked into what was causing the pain. From then I have reluctantly taken painkillers regularly. Further investigation was done into the area of my chest where I had the worst pain. X-rays showed I had previously fractured some of the ribs- most likely occurring due to coughing and my slightly weaker bones but it didnt show anything major that would explain the sharp, rubbing pain I would get when breathing in but didnt hurt if you pressed on it. I had a CT scan which revealed why I was so sore. A lot of scarring in that part of my lung but also the pleura didnt look normal and the Dr thinks this is what is causing the pain and rubbing feeling. I have never really had a bad bout of pleurisy but the Dr said the way I was describing it the pain made them think it was pleuritic even though I didnt have the infection etc to go with it. I was told that the cause has most likely been due to the infection, trauma and recurrent asthma attacks over the years that have never really had much time to recover before the next thing hit. Managing pain with a lung condition has really been a big struggle. Certain drugs are out of the question- non-steroidal anti-inflammatory drugs are a total no no and I learnt the hard way when I decided to try ibuprofen gel on my skin but had a full allergic reaction to it (I thought it was just if I took the pills). The aim with pain control is to eliminate pain and allow everyday function which is what I tried to achieve but have never been able to do. To get optimal pain control meant side effects which often meant feeling dopey. I got onto a regime using co-codamol and nefopam which helped although during the week I would use a lower dose of co-codamol due to it making me feel like my head was in the clouds but this meant by the end of the day I was in so much pain. It would feel like the outside of my lung was on fire- no matter how gentle you were you when you took a breath in the pain was the same. To control this part I had oral morphine that I could take at night before doing nebulisers and physio. I went with this regime for a few years until I saw a Dr who decided I should be switched to prolonged release morphine rather than the nefopam, co-codamol and oromorph mix. I was reluctant about this as had a handle on what I was doing and although the pain was never gone it was far more bearable. The Dr who thought outside the box was a consultant who I had not seen before but was a respiratory consultant. He asked me about the pain and what it felt like, and also what was important to me about everyday function and that if I could I didnt want to be taking painkillers you can get addicted to! I was only 30 at the time and was already taking more painkillers than I liked and it was a worry for the future if I did something that needed pain relief I had this image that they would think I was a junkie because would need a higher dose of painkiller than I should. The Dr said his main concern was getting the pain under control for me to function and be relatively pain free but I should not be on prolonged release morphine etc due to it suppressing your respiratory effort which I can afford to do. I was so happy to know I wouldn’t be taking the MST anymore but a little worried about what I was going to be taking as could not go back to the pain I once had. The Dr suggested lidocaine patches to wear topically on my chest where it hurts to see if this helped the main as he felt there is most likely nerve involvement and the whole area is constantly irritated which is why it is always sore. He did joke that you cant rest your lungs like you can a sore leg to let it get better!! So a new regime of painkillers started which was the lidocaine patch, co-codamol 4 times a day and then the oromorph for when my chest is really bad (they also use it for breathlessness to). Since starting on this regime I have been stunned at how the patch has worked. It doesn’t take the pain away totally and the Dr said this is good as it means it will let you know when to stop!!! Most recently since moving to my new consultant and being kept on the higher dose of prednisolone the pain in my chest has been no where near as bad. Instead of going through 2 bottles of oromorph a month I don’t even use a whole one and as I noticed last week I have not been needing my lunchtime dose of painkiller either. I am so happy about this. I have always had at the back of my mind I want to get off all painkillers so having a week of less pain and not needing the painkillers is great. When I see my consultant next I am going to ask if we can maybe just drop down on the dose of painkiller with a view to stopping them and just having the patch and maybe the oromorph for emergencies! The lidocaine patch has been life changing- I do not understand how it works really but it works so I don’t care. I try not to wear them at the weekend to have a break and just keep them for work and weekends when I have lacrosse or something. With each day that goes by just now I am in no doubt that I made the right decision to move consultant. If I didnt I am pretty sure I would have been in hospital by now. Staying on 20mg of prednisolone has got me through a chest infection without needing to increase the dose just a few extra nebulisers and antibiotics. Obviously 20mg of prednisolone long term is not good but I am hoping that as the mepolizumab starts working I will notice the difference and we can reduce the prednisolone!! 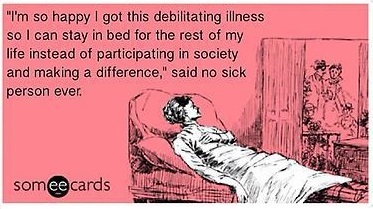 Sick leave- what do you do?? Being on sick leave seems to be an all too common occurrence for me. It is never just a day either its weeks and weeks which feels like months and months (well sometimes it is months). Often people say to me they would love to be off for as long as I have been off and it must have been nice. I hate saying its not and Im glad to be back but it is the truth. I hate being off as I do love my job. I think when you are at work and having a really hard, difficult day the idea of being off is just great, and then when you have had a week of annual leave that has gone by in just a flash you long for more time off to have a good recharge so when someone is off for a extended time you think it would be bliss but to me it is far from that. Time stands still, it feels like it moves backwards, hours drag and minutes feel like hours. It is ok when I am in hospital and unwell because you feel so awful- time stands still in a different manner, you want time to speed up so you will be out the attack and find it easier to breathe but it doesn’t speed up, again it takes forever but once out the initial terrifying difficulty to breathe has passed you are left feeling exhausted and time just passes as you dose on and off requiring medication in-between but time just passes in a haze so you really have no idea about time or what day it is. This bit is ok as you really do feel ill and just curl up. With asthma the tricky bit is when you feel better but you feel better when doing nothing and I mean doing nothing. Lying on a bed you are totally fine, breathing is good, heart rate is comfy, pain is at a low and all seems ok with the world until you need the toilet, shower, something to drink and thats it. Your lungs tighten up, heart rate sky rockets and pain rips through your lungs and you think to yourself all you did was stand up and take a few steps but feel like you have just run a marathon. This is when time is at an ultimate go slow. There is only so much lying on your bed or sitting on the sofa you can do. There is only so much day time TV or on demand TV and films you can watch. They say rest is good for you, enforced rest is even better for you but even harder especially when you know that any movement you do will cause you to feel pain and go backwards. It is frustrating and difficult. 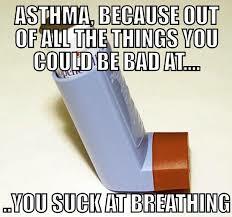 Many of my friends with asthma and other lung diseases know exactly what it is like and share my frustrations. For me it makes getting back to work difficult because doing nothing you feel invincible but when do you know that you are ok to go back to work?? It is a hard call and loving work means you want to go back as soon as possible. I find my self very fortunate as I have my patient and public involvement stuff which I can occupy myself with when having to be inactive and resting. It keeps my brain really active and i feel like I am doing something good with my down time. It is important and it stops me dwelling on what I imagine I should be doing. I would torment myself otherwise. Also writing this blog and the various support groups I am in helps me through it all but I know others don’t have that which is why I am so passionate about PPI because of the impact it has had on me. I am sure I would have long given up the prospect of even returning to work or do anything had I not had a such positive experience being involved in research. It has made the time that stands still move on and passes and soon it is the day to return to work. How do I know when I am ready to go back to work properly and actually ready rather than my brain is super bored and I need to do something? This time it has taken me longer to go back to work which Im not ecstatic about however over the past week I have noticed how many people say how much better I am looking and how my breathing appears and sounds. This is the first time in a very long time that people have said positive things about how I look or appear compared with how I look like death warmed up and sound like I have swallowed a whistle. It think this is down to a combination of things, 1 having a better steroid regime which is preventing the dip I kept having late on in the day, 2 switching medical team to a new consultant, asthma nurse etc and having confidence in this team and knowing that things are getting looked into compared to before, and lastly I have been off longer but then I was kept longer in hospital and was reliant on less nebulisers when I was discharged than when I am admitted to the Royal and get discharged often before I can even walk the length of the room and often just bounce back in meaning I am not great and more stress on my body. So there is a number of different factors this time that have changed. The last few days have been a great test for me to see how I really am doing. Going in to work to help with registrar peritoneal dialysis teaching which I really enjoyed and felt like I was useful. I must say I do love teaching but not just the teaching about something but instilling in the teaching and training how important the patient is and not just to get them better but respecting their choice and understanding what is important to them. I feel in renal this sometimes can be over looked especially when a patient chooses peritoneal dialysis as the work up can be longer and if they suddenly decline and require dialysis without a second thought a temporary line is stuck in them and then thats them on haemodialysis. Today was also another great check to see how the lungs were doing. I attended a collider to discuss ‘Decision Support for Asthma’ which was industry partners, researchers, clinicians as well as patients to brain storm ways to help those with asthma. It was a fascinating meeting and what was clear was the passion of all those that attended to help people with asthma. Ideas were not the same in the groups but the patient and patient choice was at the centre. 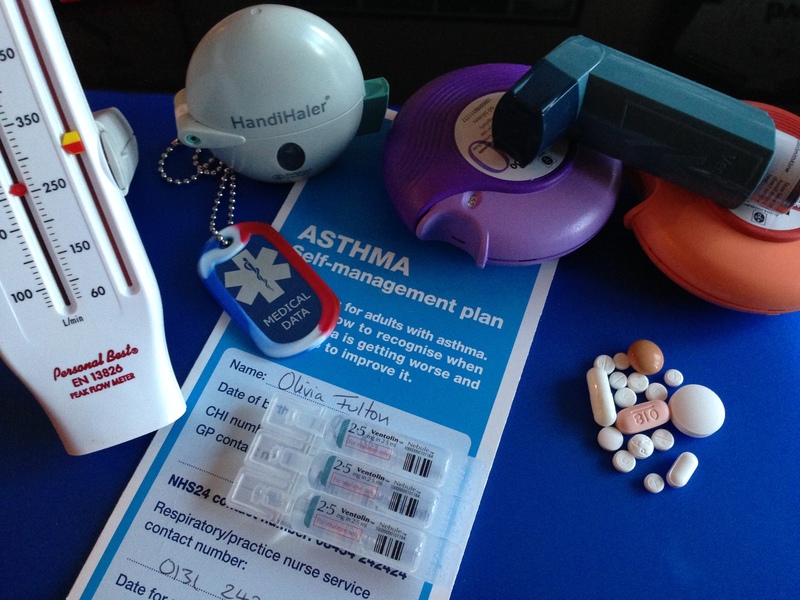 As a patient it was great to share what is useful and what is not useful to living with asthma. I will write a different post about this as I hope it will have positive outcomes and lead to new innovations. I was tired by the end of the day but a good tired and not too chesty either despite the really hot weather and humidity (which I think will only get worse as the weekend goes on!!). So fingers crossed when I see the GP on Wednesday she gives me the thumbs up to go back to work and some normality can return to my life!!! I read an article recently which challenged my thoughts on modern medicine and how I have become totally reliant on pharmaceutical products. I am so thankful for all the developments in medicine and where medication is now. Everyday I take a concoction of medication and far too many for someone in their late twenties almost 30. I take a range of bronchodilators, inhaled corticosteroids, anti leukotriene receptors, oral steroids, antihistamines, xanthines, proton pump inhibitors, anti emetics, bone protection, painkillers, muscle relaxants, antidepressants and hormones. 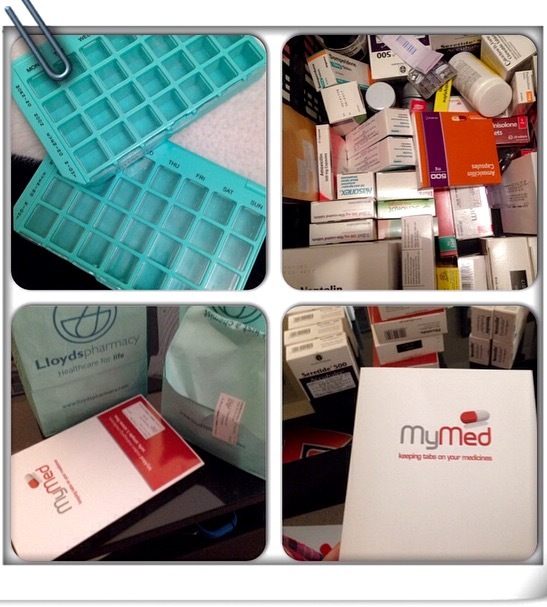 These all range from inhalers, nebulisers, nasal sprays, tablets, injections. This is just on a regular basis but add in emergency treatment of IM and IVs as well. I wonder what has happened to me since it was just 2 inhalers- a preventer and reliever. I never even knew about all these there medications and it has only been recently I have really understood what they all do, how they help me and what benefits I get from them. I am constantly working with my team to work out ways of reducing the numbers of medications and that I am only taking what I need to take and what actually does something. There are times when I just wonder why I take everything everyday when I can sometimes find I get no benefit at all, but on the good days I can really see how they help. I can go from gasping for breath to be able to breathe freely with the help of my medication regime and all the different things. As great as this all is I can’t help but think where would I be if we did not have these great advances in medication. If we were all still relying on asthma cigarettes, powders or the later developed atomiser and then pocket atomiser- something about the size of a portable nebuliser rather than a pocket inhaler. Im not sure I or many others would be able to do half of what I do without the medications we now have. Im pretty sure I would be in quite a bad way and stuck indoors all the time. It is a thought that doesn’t bare thinking about. So many of us, myself included complain constantly about the amount of medication they take and the side effects. My list of medication is half medication for my asthma and half to treat the side effects of the medication I take for my asthma mainly the prednisilone. Reflecting now as much as I hate my medication I am hugely indebted to the researchers and pharmacy companies who develop these new medications for all different diseases. Selfishly I want them to focus on developing medication to help conditions like asthma which don’t get the funding as I desperately want to have the life I used to even though I am ever so grateful for the life I have now it would just be great to turn back time to the good old days! I guess the article I read just highlighted to me how fortunate I am and we are that we are here in the modern world compared to time before. For now just need to keep on…. What do you do when everything you hate in life is everywhere you go?? 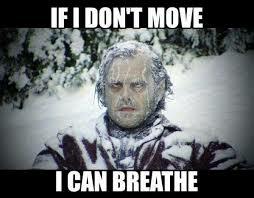 This is what my asthma feels like just now. It doesn’t even leave me alone when Im asleep. I get woken up coughing, wheezing and gasping for breath. When Im awake its the same. I try to blank the tight feeling in my chest, or the low whistle that seems stuck in my head but it is ever present in my chest just now. When you have a bad day you can run away, hide in a darkened room and leave your fears and stresses behind but as I run into a darkened room my fears and stresses follow me and sit right next door to me. I just can’t get away from it. Many ask me why I get involved in the research centre so much if my asthma bothers me so much but that is exactly why I get involved with AUKCAR so much because for asthma is everywhere and if I can use my experience to the benefit of research and others then fewer will have to suffer a life dictated by asthma. Even if I was not putting my experience to good use I would still be all consumed by it as I can’t get away from it. If not away from the asthma then I still have the side effects of the medication used to control my chest. It is just never ending. One wish I would really like just now to to get away from it. But even that can’t be done. I often think if I do nothing then i won’t feel the effects of shortness of breath or being wheezy but even when doing nothing I find I need to reach for my inhaler or get woken up needing relief. It feels like my lungs hate me as much as I hate them. I am on the count down to seeing my consultant on Monday. I am filled with apprehension, excitement, nervousness, and a slight bit of fear. I guess I want so much to change and hope for something to change but am very scared that there will be no change.